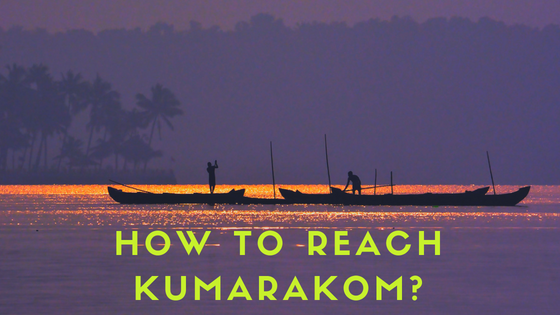 Here is your answer for how to reach Kumarakom? Check the distance and take the way as per your wish. For the tourists who wish to reach Kumarakom by train – The nearest rail head to Kumarakom is Kottayam railway station. The station lies at a distance of 16 km from the city. There are frequent trains plying between all major cities. Kumarakom is well placed that lets it remain connected to all the parts of the country. For the tourists who wish to reach Kumarakom by Flight – The nearest airport situated to Kumarakom is Cochin International Airport while the second nearest airport is the Trivandrum airport. Trivandrum airport is located at a distance of 171km and Cochin Airport at distance of 74km. There are frequent international and domestic flights from all major national and international cities. Both the airports are equipped with all modern day facilities. For the tourists who wish to reach Kumarakom by Road – Kumarakom is well connected to all the major cities around it with an effective road network. Kerala state government runs buses between all its prime cities. A large variety of public transport options are available which can be used by the travelers to reach Kumarakom in a hassle free manner. Kumarakom is well connected to prime destinations like Munnar, Alleppey, Thekkady and Kochi. On reaching the bus station one can hire a taxi to reach the interiors of Kumarakom. Bangalore to Kumarakom distance is around 545 kms (approx 13 hrs by road). Chennai to Kumarakom distance is around 692 kms (approx 13 hrs by road). Mumbai to Kumarakom distance is around 1434 kms (approx 24 hrs by road). Kochi (Cochin) to Kumarakom distance is around 54 kms (approx 2 hrs by road). Coimbatore to Kumarakom distance is around 246 kms (approx 5 hrs by road). Trivandrum(Thiruvananthapuram) to Kumarakom distance is around 161 kms (approx 5 hrs by road). Hyderabad to Kumarakom distance is around 1124 kms (approx 20 hrs by road). Delhi to Kumarakom distance is around 2711 kms (approx 43 hrs by road). Kolkata to Kumarakom distance is around 2364 kms (approx 40 hrs by road). Ahmedabad to Kumarakom distance is around 1943 kms (approx 31 hrs by road). Pune to Kumarakom distance is around 1446 kms (approx 25 hrs by road). Mangalore to Kumarakom distance is around 475 kms (approx 8 hrs by road). Madurai to Kumarakom distance is around 257 kms (approx 6 hrs by road). Tiruchirapalli to Kumarakom distance is around 376 kms (approx 8 hrs by road). On your tour to Kumarakom, Check the best places to visit in Kumarakom.